Confidently seeing good and evil for what they are. Today we celebrate the 100th anniversary of the birth of Ronald Reagan, 40th President of the United States (1981-1989). Mr. Reagan took office immediately after the long period of overall economic malaise brought about by the Carter Presidency. I happened to be in Chicago airport catching a flight as the news came in. I vividly remember Dan Rather's look of shocked amazement as he said, "I guess we'll have to get used to saying, 'President Reagan'." As a card-carrying member of the media elite, Mr. Rather probably didn't know any Reagan supporters and couldn't imagine why he'd won. On Jan. 29, 1981, barely a week into Ronald Reagan's presidency, the world got a no-nonsense education on how Reagan's America would differ from that of his predecessor. During the first press conference, ABC's Sam Donaldson asked the new president about Moscow's aims and intentions. Throwing diplomatic double-speak to the wind, Reagan calmly explained that the Soviet leadership had "openly and publicly declared that the only morality they recognize is what will further their cause, meaning they reserve unto themselves the right to commit any crime, to lie, to cheat." Reagan continued, explaining that the Soviets considered their relativistic behavior "moral, not immoral." This was something that the United States needed to "keep . . . in mind" when doing "business" with Moscow. The assembled Washington press corps responded with what National Security Adviser Richard V. Allen described as "an audible gasp." The reporters clearly didn't believe in evil. Over and over, they pressed Mr. Reagan for clarification of his seemingly bellicose remarks. Over and over, he'd explain patiently that the Soviets recognized no morality besides whatever would promote the cause of socialism anywhere in the world. On that, said Reagan, "I don't have to offer my opinion. They [the Soviets] have told us where they're going again and again. They have told us their goal is the Marxian philosophy of world revolution and a single, one-world communist state, and that they're dedicated to that." We've noted that a great many Americans and Europeans seem to have forgotten that evil exists in the world. 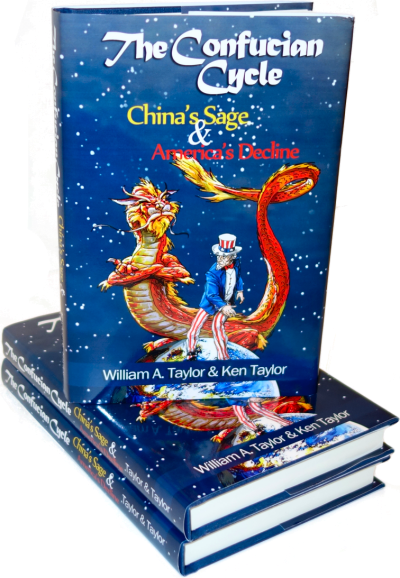 Mr. Reagan was old enough and experienced enough when he took office to recognize that the Soviet Union, like Hitler's Third Reich and Tojo's Japan, was indeed an "evil empire" that had to be destroyed. By holding fast to that conviction throughout his presidency, he brought about the collapse of the Soviet Union. He set military and technical challenges which the Soviets couldn't match. In essence, he raised the cost of competing in the Cold War to the point that they had to fold. "Will this harm the Soviets?" "Will this advance the cause of freedom in America?" "Will this advance the cause of freedom in other countries?" The Soviet leaders were men of principle, too. They believed that anything that advanced the cause of socialism was good, and anything that didn't was either a waste of time or bad. Mr. Carter wasn't sure just what he believed in; he couldn't cope with the single-minded Soviets or the single-minded Iranian ayatollahs. Mr. Reagan's principles guided him so surely through 8 years of confrontation that the Soviets collapsed, whereas Carter's muddled thinking led him and our country into chaotic mess after mess. Colonel Muamar Gaddafi's residential compound took a direct hit that killed Hanna Gaddafi, the adopted baby daughter of the Libyan leader. President Reagan has justified the attacks by accusing Libya of direct responsibility for terrorism aimed at America, such as the bombing of La Belle discoteque in West Berlin 10 days ago. President Reagan explained, "When our citizens are attacked or abused anywhere in the world on the direct orders of hostile regimes, we will respond so long as I'm in this office." Rather than going after the low-level grunts who carried out the attacks, Mr. Reagan chose to "cut the head off the snake" and go after the main perpetrator. Once Mr. Gaddafi realized that the Americans knew where he lived and could throw rocks through his windows, he behaved far more carefully while Mr. Reagan was in office. The fact that he was willing to back his principles with action stood Mr. Reagan in good stead when the East Germans revolted against their Communist rulers. Mr. Reagan had worked with Margaret Thatcher, Prime Minister of England; the Pope, who had been born in Poland; and as many other national leaders as were willing to support the various Eastern European groups who were trying to oust their communist rulers. When the revolt peaked, he made it clear that he not only had the names of the Communist rulers, he knew where they lived. They knew that he had the power to make them uncomfortable if they instituted a blood bath. They didn't; the people overwhelmed them; and Eastern Europe is free today. This did Mr. Reagan deal with the Evil Empire: he knew its true nature and thus how to deal with it, he explained what he was doing so clearly that we followed him in doing it. When the records were opened after the Communists collapsed, we found out just how evil their regimes had been, but liberals never admitted that Mr. Reagan had been right all along. By abandoning Mr. Bush's efforts to move Egypt towards democracy, the Obama Administration lost credibility with the forces who're demanding Mr. Mubarak's overthrow. What else could we expect? Obama Democrats believe in an all-powerful government. They can't understand American citizen's desires for individual freedom, how could they possibly understand such longings in other nations? What's more, they fail to recognize the existence of evil, so they utterly fail to grasp the Islamic threat standing in the way of a free, democratic Egypt - or, for that matter, a continued free, democratic Western world. President Reagan won total victory over Communism: the so-called Communist Chinese may be totalitarian, but economically they're more capitalist than we are. The only remaining truly Communist states are two-bit tiddlers like Cuba and North Korea which can cause problems but are absolutely in no danger of taking over the world. There is, however, another force that was quiescent in Reagan's days but is now every bit as threatening to humanity and the cause of freedom as Marx's monsters ever were: the "religion" of Islam. Our leadership elites lack Mr. Reagan's clarity of vision - they don't seem to believe that evil even exists. In fact, it can be argued that they don't even believe in belief itself. Can you imagine any of our leaders - Mr. Obama, Ms. Pelosi, Mr. Reid, even John Boehner - asserting that terrorism is "evil"? The only evil the Democrats claim to recognize is people who don't agree with them - right-wingers stir up evil assassinations so they're evil. Islamists, on the other hand, represent a religion of peace, after all, Mr. Obama Himself said so. The first step in defeating any enemy is to state why the enemy is evil and what makes him so; the second step is to summon the resolve to defeat evil by defeating the enemy. On both counts, Mr. Regan succeeded brilliantly - he not only identified the evils of the Soviet system, he led America so as to bring about its downfall. Unfortunately, none of our present-day leaders of either party has the vision to declare that we're fighting another worldwide evil that has declared itself determined to bring about our doom. Until such a leader steps out of the pack and assumes the Mantle of Reagan, we'll have to be content with limp-wristed foreign policy pantywaists that at best don't make things too much worse. 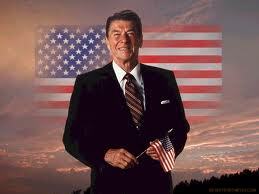 Having been privileged to vote for and support President Reagan, we're hoping for another of his stature. Unfortunately, leaders of clarity and vision are rare; but we can't wait another hundred years for one to come along. John Bolton for President. I'm only half joking... but there is a man with clarity of thought with regard to foreign policy. What, no Sarah Palin partisans? sounds like the author needs a dose of reality: now that Reagan's last puppet tyrant Mubarak is leaving— to say nothing of Marcos, bin Laden & Saddam, all staunch friends of the statist headmaster Reagan— perhaps it is time to wonder why Republicans still worship this demigod: the one who tripled the national debt, cut taxes once & raised them three times, encouraged assaults on our liberties with a paranoiac war on drugs, which like the war on terror, makes all citizens enemies of the state. If yours is a Puritan theocracy, perhaps utopia; for the rest of us who wish to be left to our lives w/o meddling nor theft nor downright invasions of our privacies, he is the ultimate tyrant, Amerikan style, who gives the illusion— as Republicans so ardently embrace— that service to state is freedom, and those who question it must be communists. Gorbachev.. even I, who served six yrs honourably in the Navy.. did more to thwart the Soviet empire than this bloated parody of liberty.